Since being diagnosed with Parkinson’s in 2005, I have learned a lot about the condition. 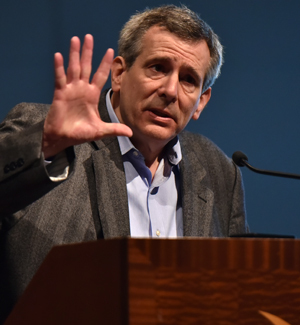 Attending the World Parkinson Congress revealed how the disease progresses over time and exposed me to people with Parkinson’s, exemplifying that patient advocates could have a broad reach. This led to the founding of the Connecticut Advocates for Parkinson’s Inc. which began as a support group for people with Parkinson’s and has grown from eight members, to four chapters and over 130 active constituents. We began to understand and seek opportunities to make a difference, through education, advocacy, and participation in clinical trials. I have working relationships with a number of Parkinson’s organisations, where I serve as ambassador or patient advocate, such as: the Michael J. Fox Foundation, World Parkinson Congress, the Parkinson’s Foundation and the Hartford Healthcare David & Rhoda Chase Movement Disorders Center Advisory Board. I have also spoken at the National Institute of Health, the Federal Drug Agency and the Van Andel Institute. Connecticut Advocates for Parkinson’s led to the formation of the Make A Difference Parkinson Alliance, which brought together the three largest support groups in Connecticut to provide enhanced educational programs and unified advocacy voice to its over 300 members. However, I am most know for developing the Clinical Trial Transportation Program, which has recruited and supported nearly 150 volunteers to participate in Parkinson’s Clinical Studies. I believe people with Parkinson’s have the responsibility to stay educated about the disease, use their voice to advance research and be directly involved with clinical trials. I hope, through my continued work, to encourage people with Parkinson’s to do this. In March 2015, I was recognized as a Champion of Change at The White House, and have been selected to be the co-recipient of the 2017 Alan Bonander Humanitarian Award, presented by the Parkinson’s Alliance to individuals who selflessly devoted time to patient advocacy through research and direct interaction with physicians. 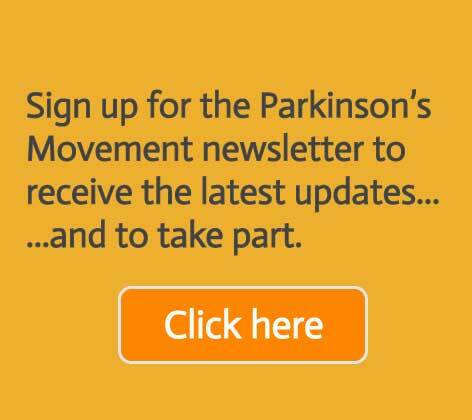 More recently, I, along with other Parkinson’s advocates, have been instrumental in representing the patient voice to in shape the new Adamas Parkinson’s Programme.